The port tower of Genoa was hit by a ship named the "Jolly Nero," which has the nickname of the "Black Joker." Reports of several killed are being noted by media accounts. 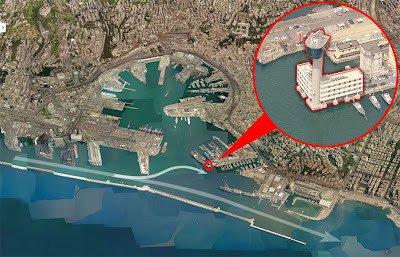 The container ship smashed into the 170 ft (50 meter) tall tower of Genoa, bringing it crashing down and killing up to 10 dead. Four people, including a pilot and two coast guards, are confirmed drowned. On Wednesday morning, the death toll was reported to have climbed to seven. Another three people were missing. 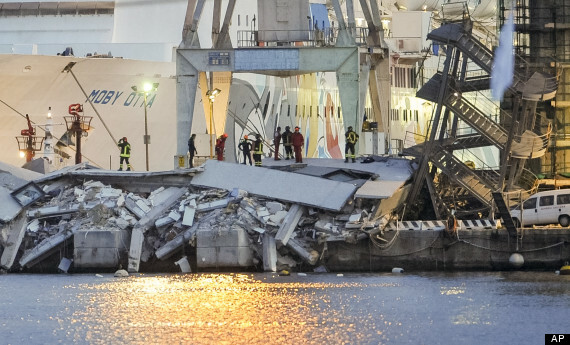 Various theories are being developed for why the accident occurred. 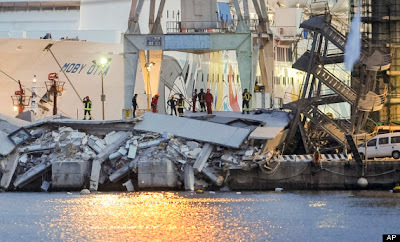 According to other accounts, however, it was the stern of the vessel a 40,594-tonne container ship  that brought down the tower. 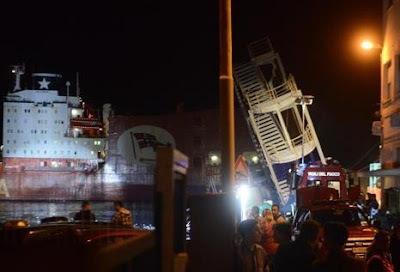 The ship involved in the collision was the Jolly Nero ("Black Joker"), belonging to Ignazio Messina & C.
Stefano Messina, the managing director, said: "We are very upset  more than that. It is something that has never happened before. We are distraught." 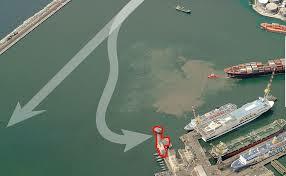 The head of the port authority, Luigi Merlo, said the ship was coming out of the port when it struck the tower. There was no obvious explanation for the disaster, he said. "It was a perfect evening. The sea was calm. There was no wind. Visibility was perfect." 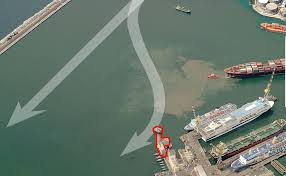 But he added: "The manoeuvre ought not to have been carried out in that area." One theory voiced on Wednesday was that one of the Jolly Nero's two engines might have jammed, making the ship impossible to control. 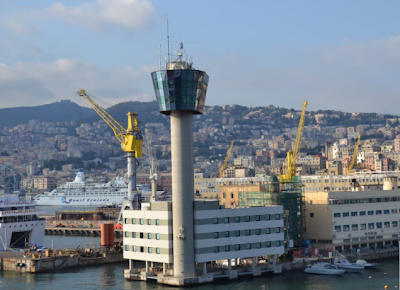 The coast guards operating from Genoa's imposing port tower were responsible for the northern sector of the Tyrrhenian sea. Radar installed in the operations room at the top of the tower could detect ships up to 40 nautical miles away. 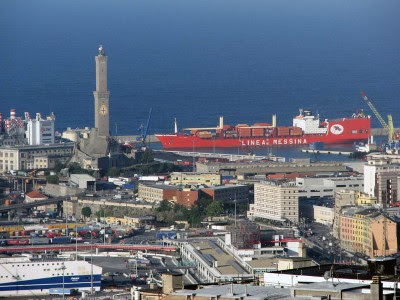 The tower hosted the offices of the coast guard and the pilots who guided ships in and out of the port. Genoa = Genua was a city of the ancient Ligurians. Its name may derive from the Latin word meaning "knee" (genu; plural, genua), i.e. "angle," from its geographical position at the center of the Ligurian coastal arch, or it could derive from the Celtic root genu-, genawa (pl. genowe), meaning "mouth," i.e., estuary; thus akin to the name of Geneva. "The Dark Knight/Joker name game continues to play out," writes BG, who contributed this news.